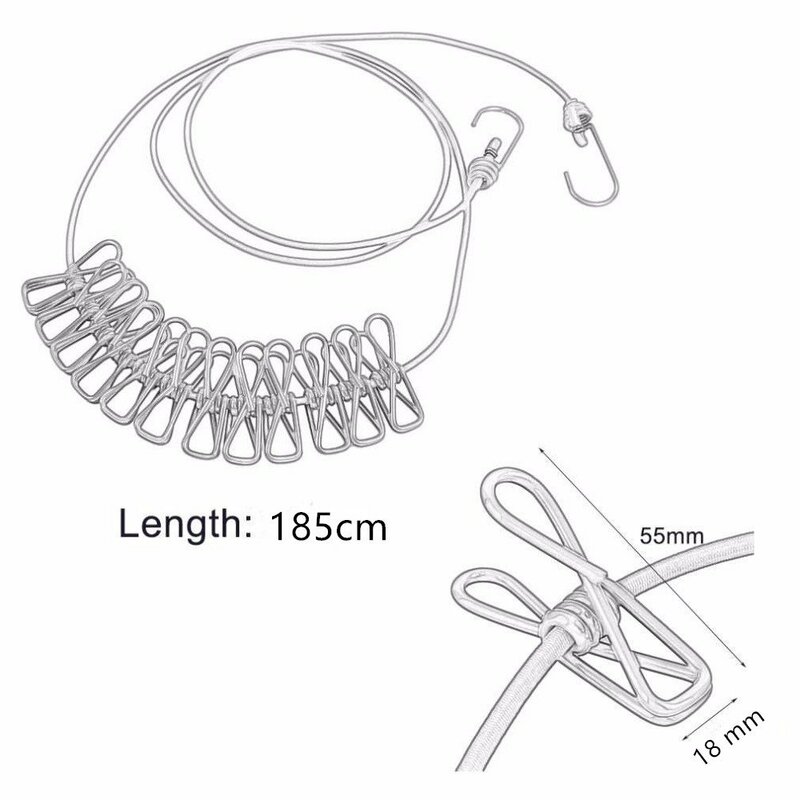 Perfect for lightweight and thin clothes, such as: swim suits, towels, socks, ties etc. 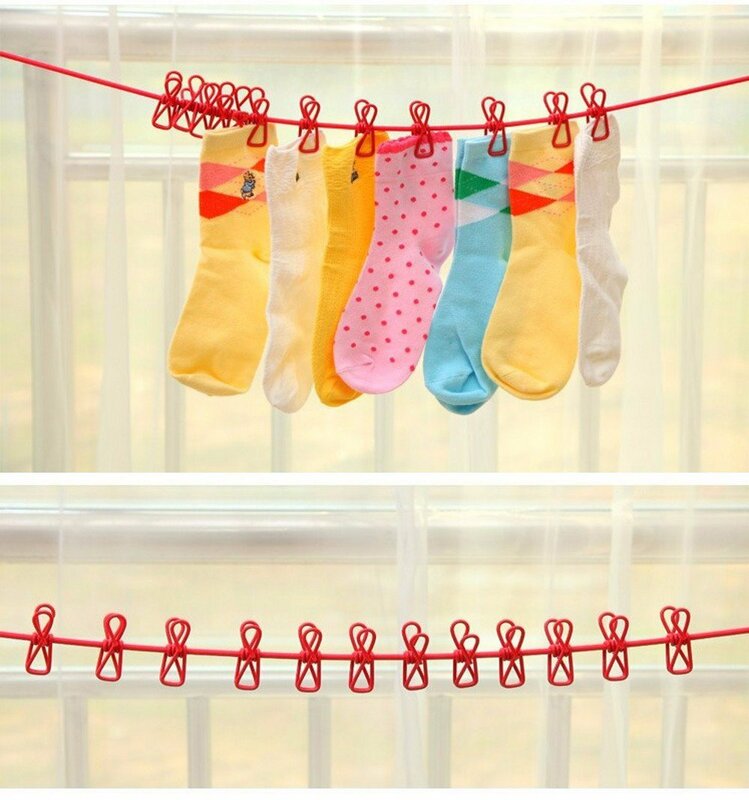 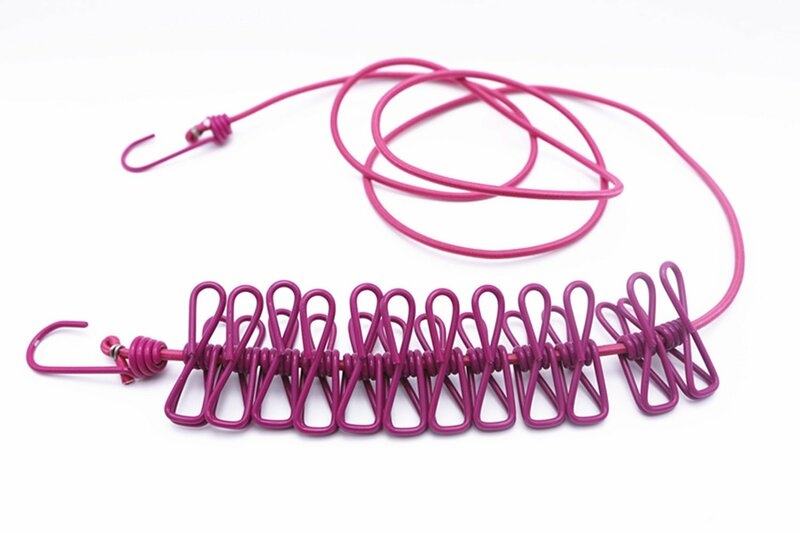 Elastic clothesline can be arbitrary stretch, it's flexible enough to be adjusted to desired length yet keeps a stable line for hanging clothes. 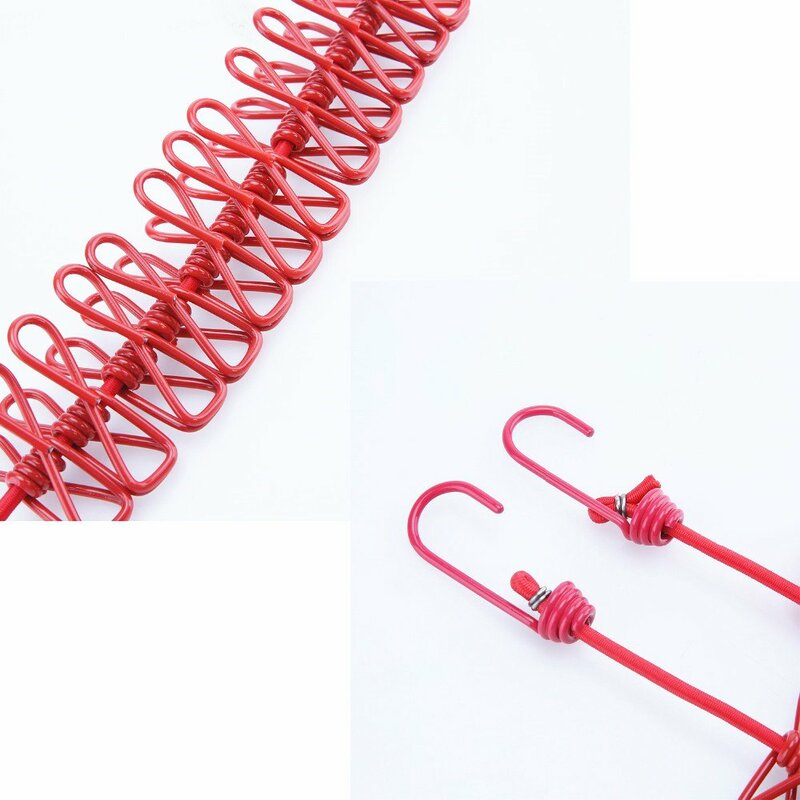 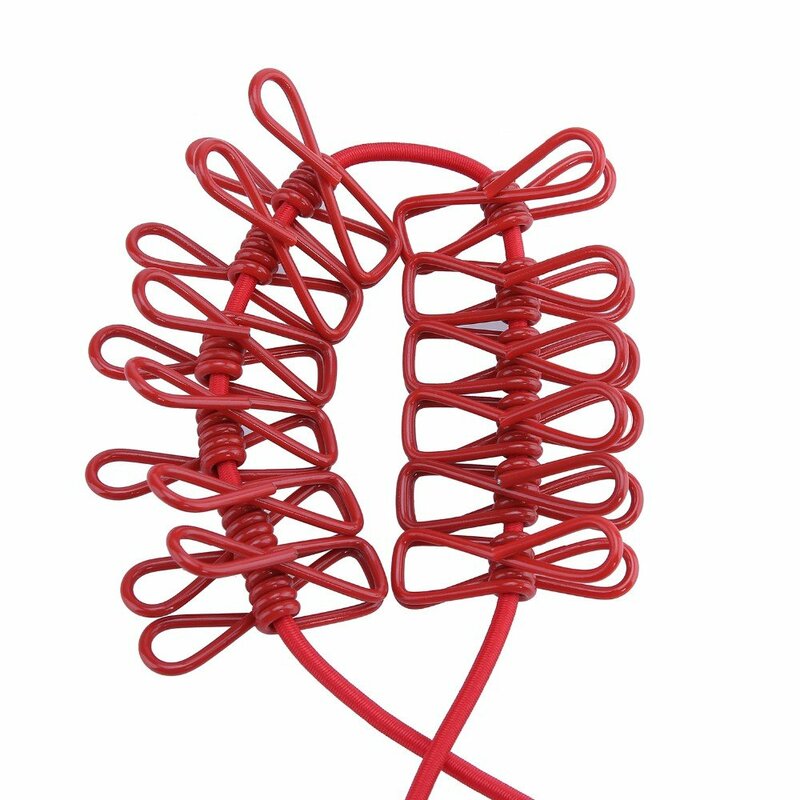 Both side with a metal hook, can securely fasten onto poles, tree branches, columns and so on. 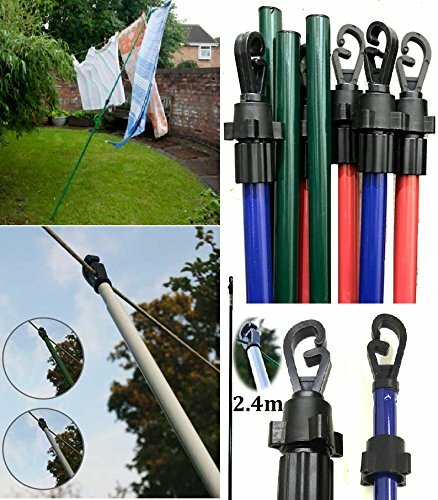 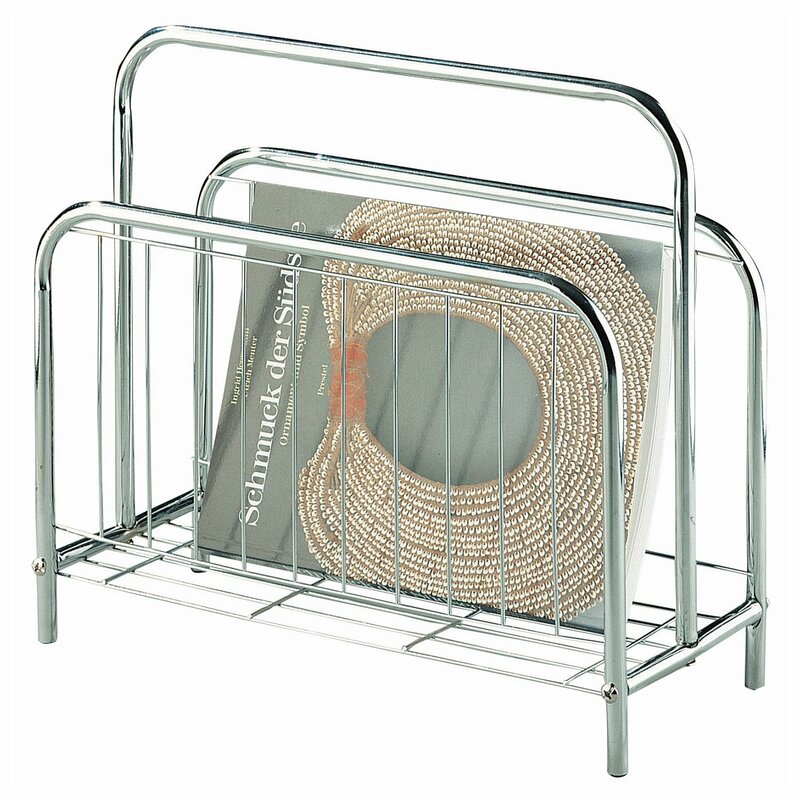 Extensible line and moveable clips, due to the distance from the wind or other causes that affect drying clothes stick together. 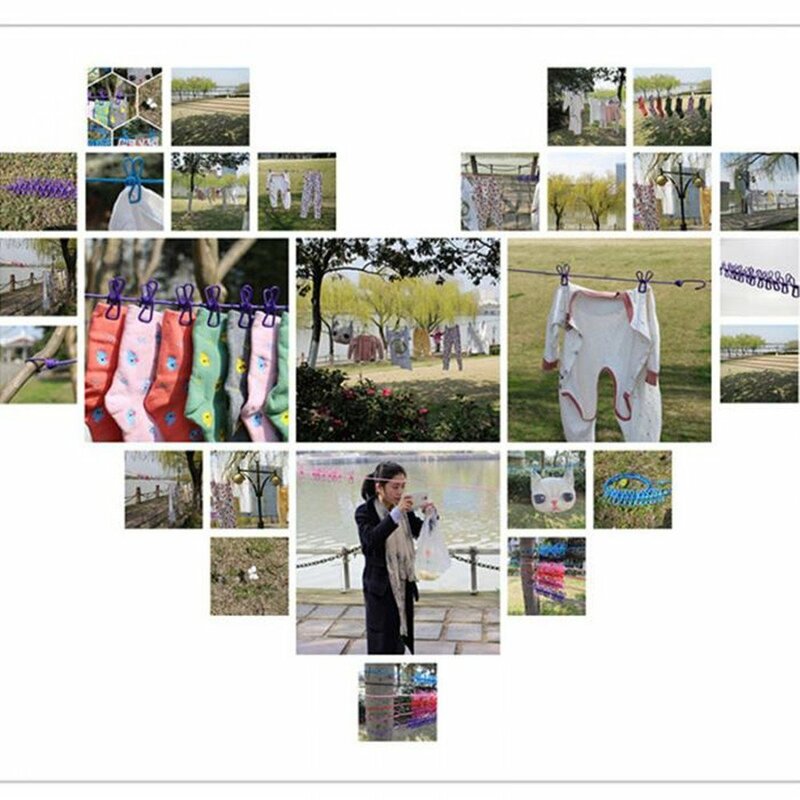 Great for home, travel, camping ,on business , backpack use ,Also can be used as photos hanger . 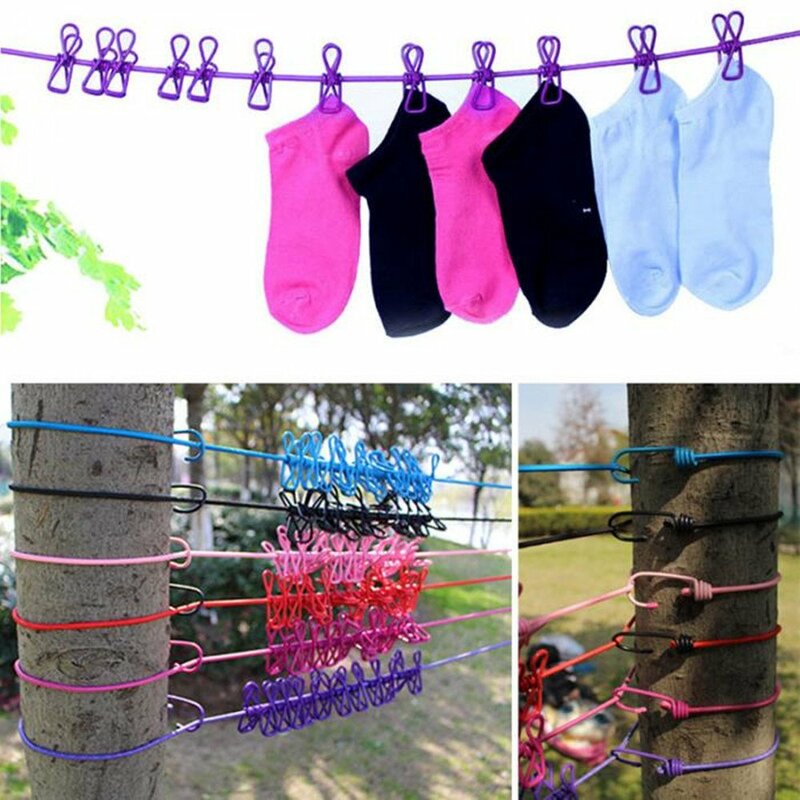 Not good for heavy coat or jacket ,Good option for drying socks ,towel ,T-shirts and shirts etc. 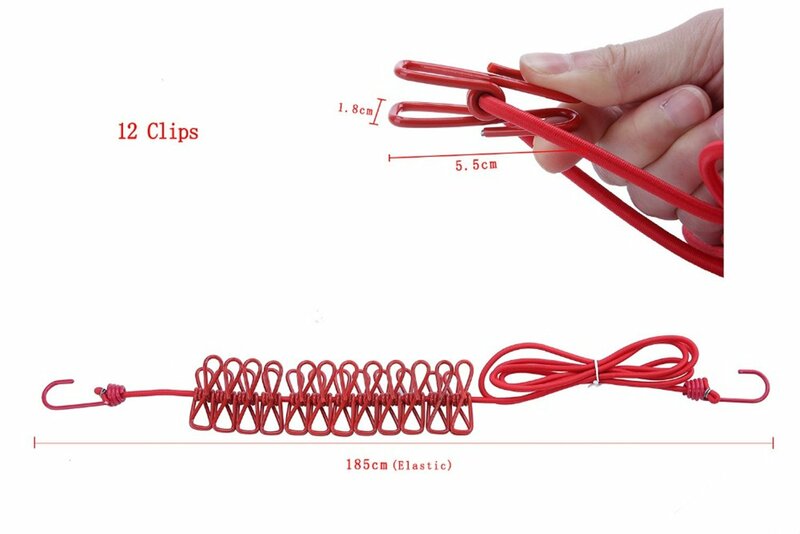 Such a useful item for camping. 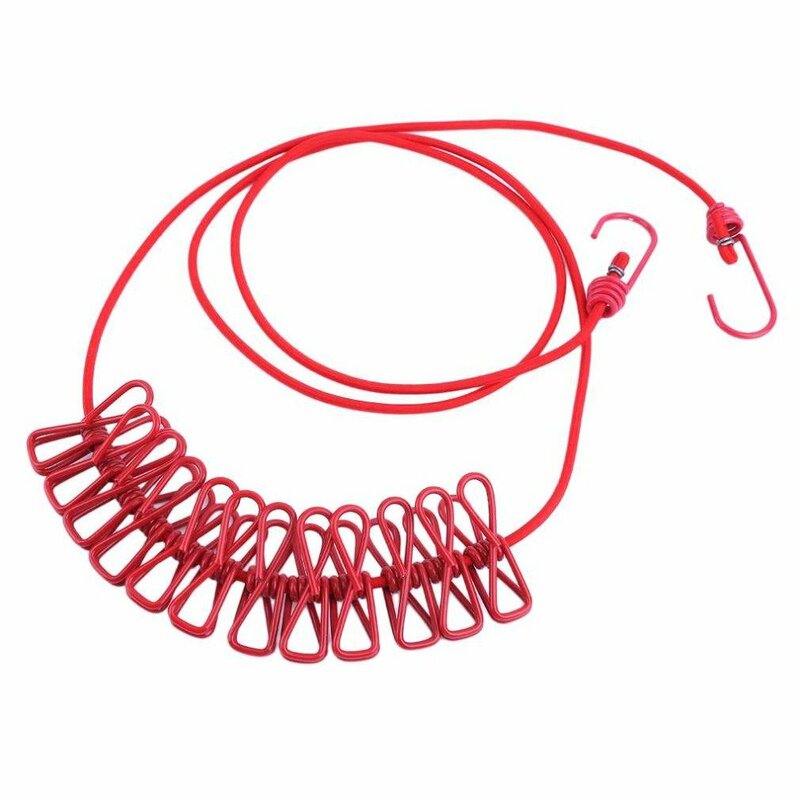 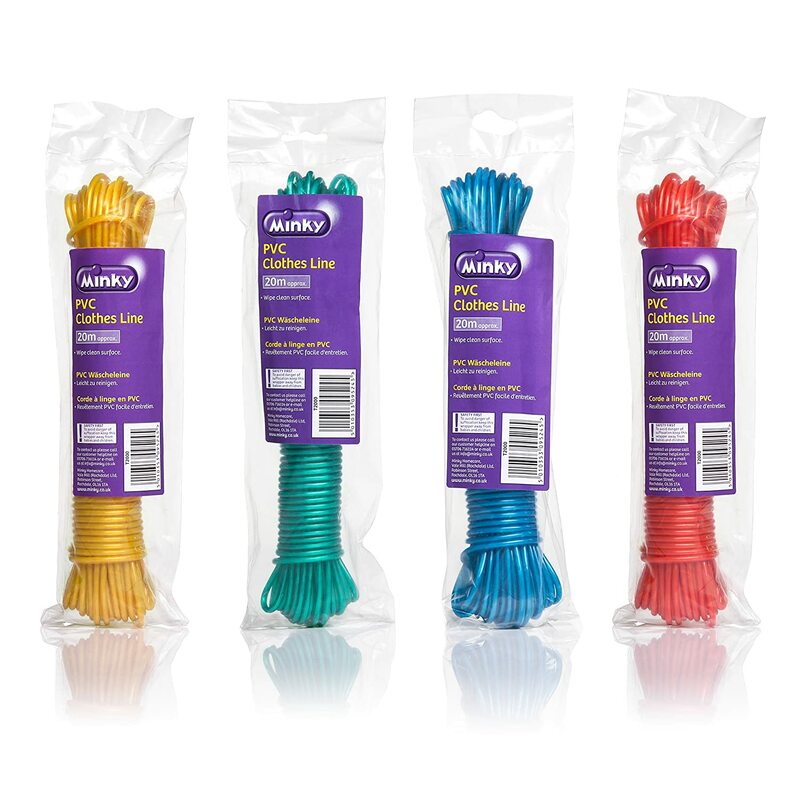 Nice long, and really strong elasticated line with hooks either end to hook onto any convenient tree, tent pole or whatever. 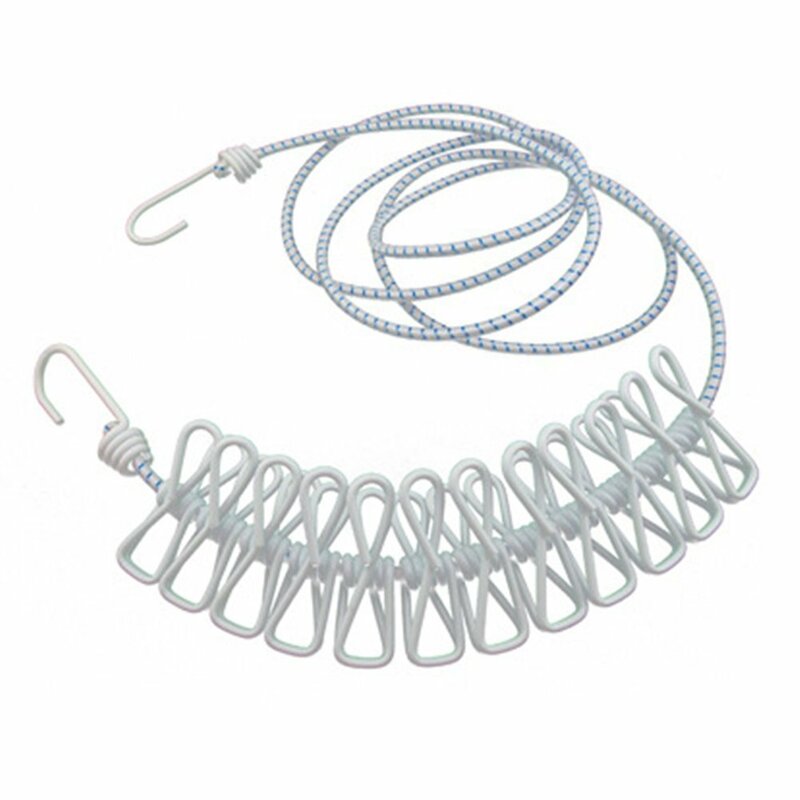 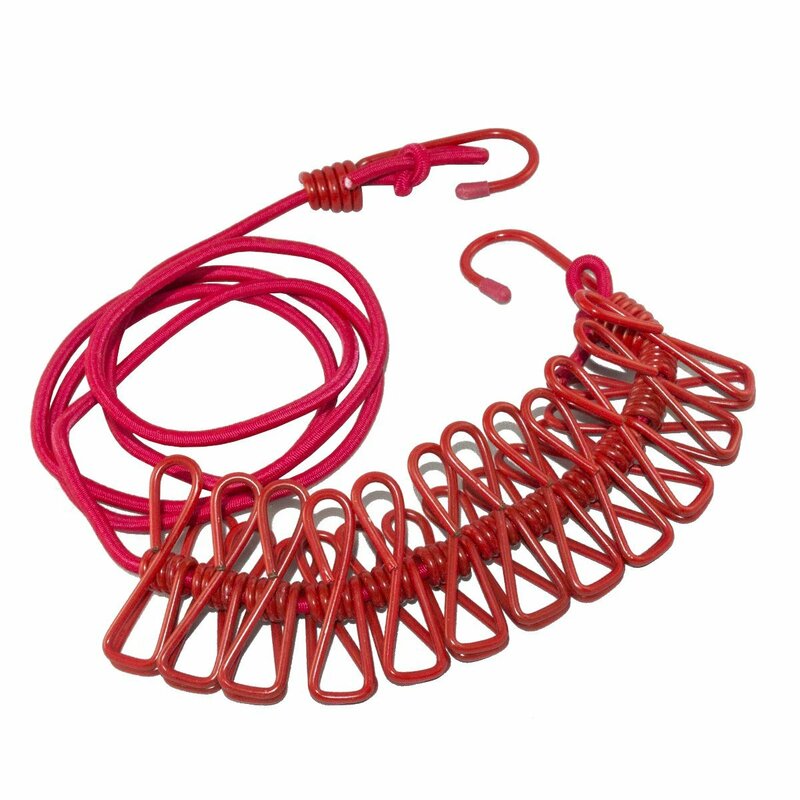 The clips can be slid along the line as required and hold clothing very securely. 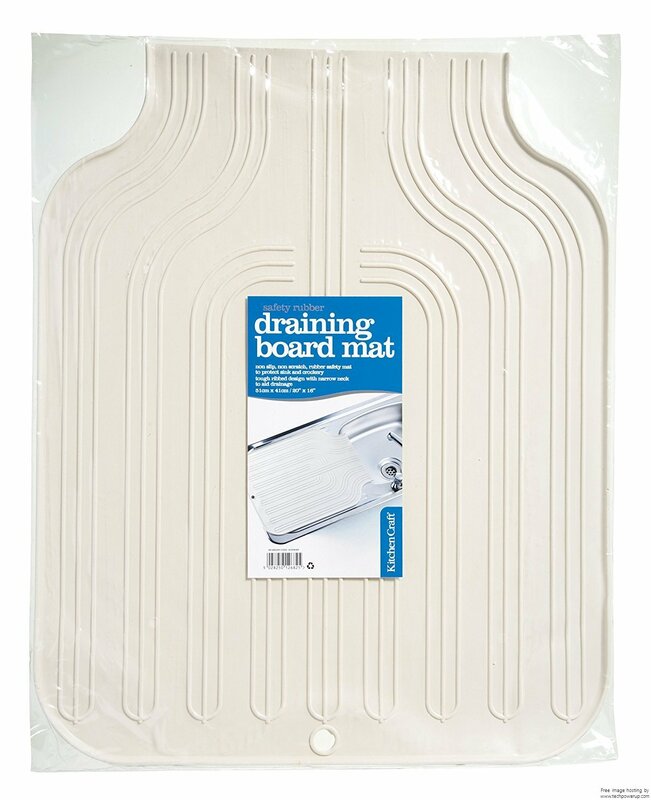 This is going to be invaluable.